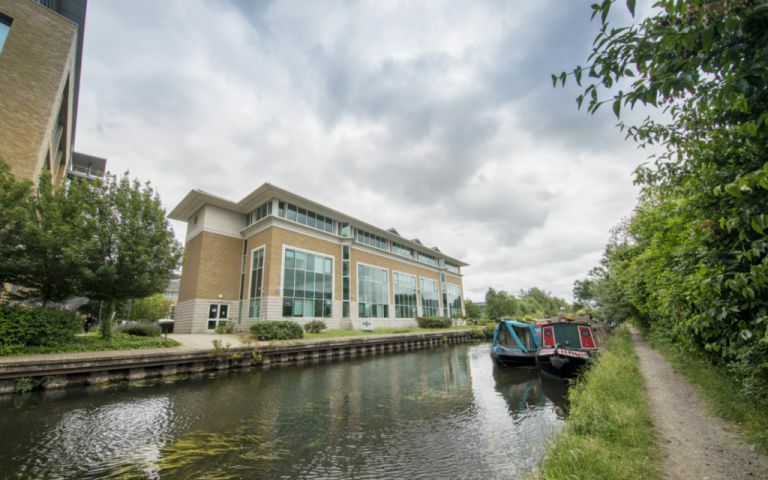 This business centre enjoys a waterside business park location set in landscaped gardens, with views over the Grand Union Canal. The centre provides fully serviced offices in Uxbridge on flexible terms, with air conditioning, reception staff and support teams, kitchen areas, an on site restaurant, state-of-the-art technology, car parking and professional meeting rooms provided as standard. The serviced office in Uxbridge benefits from excellent transport networks, with Heathrow Airport only a 15 minute drive away, and easy access to the M25 and M40 motorways. Uxbridge Underground station is close by, with direct links to central London via the Metropolitan and Piccadilly lines. Easy Offices Where is the nearest place to get lunch near Highbridge? Easy Offices Where is the nearest car park to Highbridge? Easy Offices Where is the nearest public gym to Highbridge? Easy Offices Where is the nearest coffee shop to Highbridge?